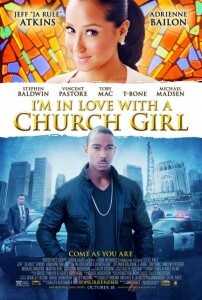 I’m In Lo ve With A Church Girl is the #1 independent move in theaters in its opening weekend. The film, produced by Israel Houghton’s RGM-New Breed production outfit was called the surprise opening of the weekend debuting on more than 450 screens. The film stars Jeff “Ja Rule” Atkins who, as a successful entrepreneur haunted by a criminal past and surrounded by old friends still “in th e life,” finds faith, redemption and inspiration when God puts a woman of faith (Adrienne Bailon) in his life. Rounding out the cast are Stephen Baldwin, Vincent Pastore, Michael Madsen, T-Bone, Martin Kove and TobyMac, with Steve Race directing. 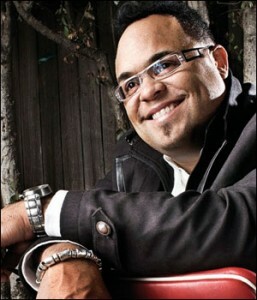 5 time Gramm y Award winner Israel Houghton adds his name to the RCA Inspiration roster. RCA Inspiration will be exclusively distributing and providing marketing and promotional services for albums produced by Houghton’s multimedia and music company, RGM-NewBreed Music as well as releasing future albums by Houghton. The first release from RCA Inspiration is the soundtrack for the movie, I’m In Love With A Church Girlwhich will be available for sale October 22nd.The soundtrack includes performances by Israel Houghton & New Breed, Lalah Hathaway, PJ Morton, Ja Rule, James Fortune, Jason Nelson, Sheila E, Donnie McClurkin, Marvin Sapp, Fred Hammond, T-Bone and many more. The first single “Sunday Kinda Love” featuring Israel, PJ Morton, Aaron Lindsay and Nikki Ross is available now on all digital platforms. The promo tour for Israel Houghton’s I’m in Love with a Church Girl kicks off on Monday, September 9th in Chicago, Illinois. Several members of the cast and crew will make appearances during the multi city tour including Adrienne Bailon, Stephen Baldwin and Ja Rule. The tour will wind through Chicago, Detroit, New York, Dallas, Atlanta, Tampa, Orlando and San Jose before the big movie premiere and concert in Los Angeles on October 16th. 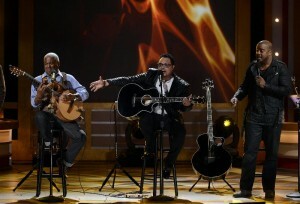 Master Worship Leader and multiple Grammy winner Israel Houghton adds movie producer to his credits. He dons his Executive Producer cap and with business partner Galley Molina launches I’m In Love With A Church Girl, the first movie from their RGM Films production company. 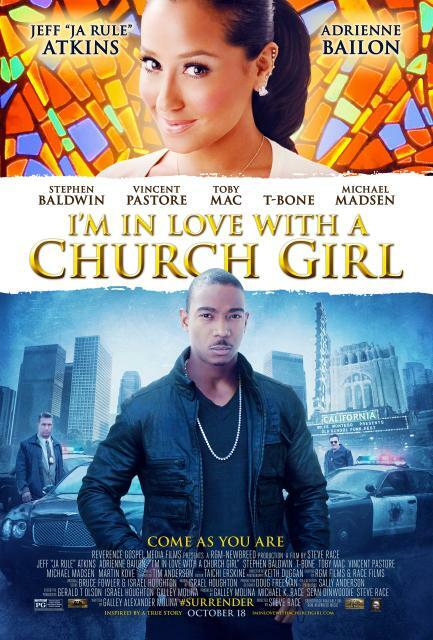 The movie, a story of love and redemption stars Ja Rule, Adrienne Bailon and Stephen Baldwin. Houghton serves as one of the music composers along with Bruce Fowler. The film is slated for a theatrical release on October 4th. 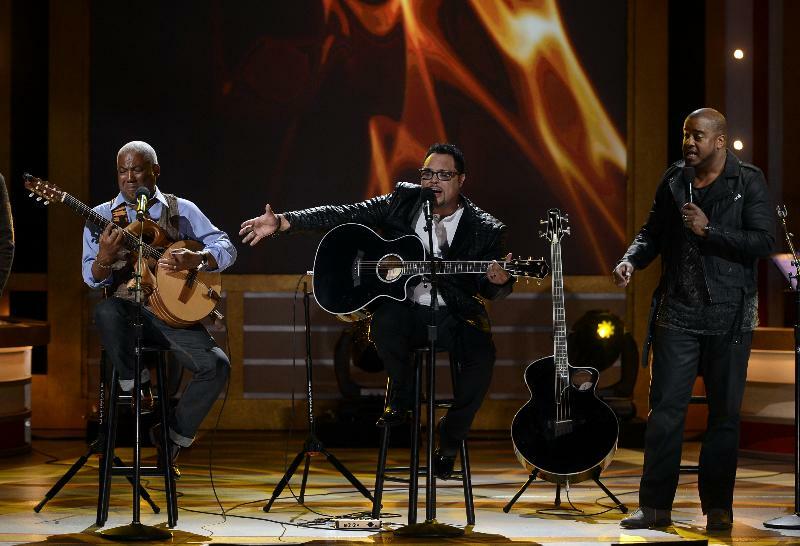 In the meantime, be sure to catch Israel with Jason Nelson and Jonathan Butler performing Its Not Over (When God Is In It) from his Jesus At The Center CD on BET’s Celebration of Gospel this Sunday.